Found 6 file extension associations related to Colin McRae Rally 2 and 5 file formats developed specifically for use with Colin McRae Rally 2. 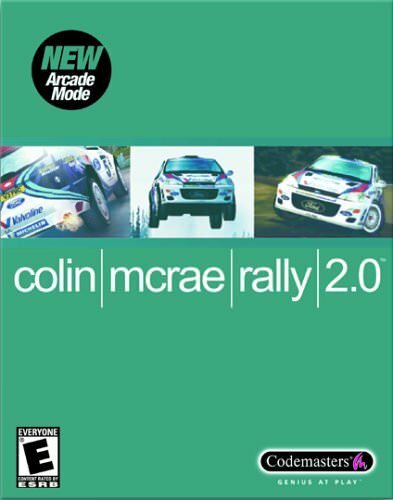 Colin McRae Rally 2 is the second part of popular Colin McRae Rally series. The game engine CMR2 will take you across 8 countries and more than 90 different rally stages. The supercharged new game engine CMR2 will take you across 8 countries and more than 90 different rally stages in brilliant 32-bit textures. The improved physics engine will put you in control...or out of control at the wheel of one of 13 world renowned rally cars meticulously created using actual manufacturer's data. Get in on the action from one of several camera views including an accurate 3D representation of each cars cockpit but don't forget to strap yourself in because CMR2 features a brilliant new damage model. You'll break out your lights, shatter your windscreen or even pop your bonnet. CMR2 offers several modes of play including arcade and simulation. Play in arcade mode dueling it out against the others around a course or stick to the more traditional championship mode with three different skill levels. Best of all you can play with your friends with two player split screen and up to four player alternating over a network LAN or the Internet. If you need more information please contact the developers of Colin McRae Rally 2 (Codemasters), or check out their product website.